Expecto Bobbleheadem! 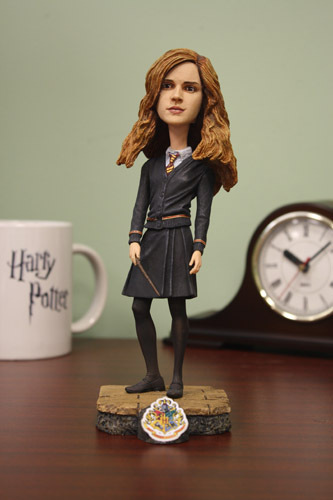 This magical addition to our popular Head Knockers brand brings you Hermione from the Harry Potter movies! The studious witch is cast in resin and then hand painted for incredible detail. She stands on a Hogwarts-themed base with wand in hand. Over 7″ tall with bobbling head — a fun addition to any collection!